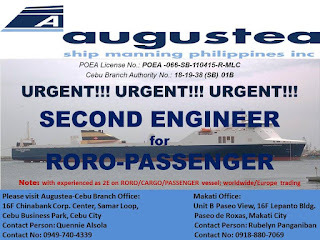 SEAMAN JOBS INFO - AUGUSTEA SHIP MANNING PHILS. 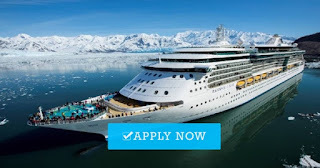 INC opening recruitment crew for passenger ship joining the onboard third week of sept 2018. Cebu Branch Office: 16F Chinabank Corp. Center, Samar Loop, Cebu Business Park - Cebu City. Makati Office: Unit B Paseo View, 16F Lepanto Bldg. Paseo de Roxas - Makati City. 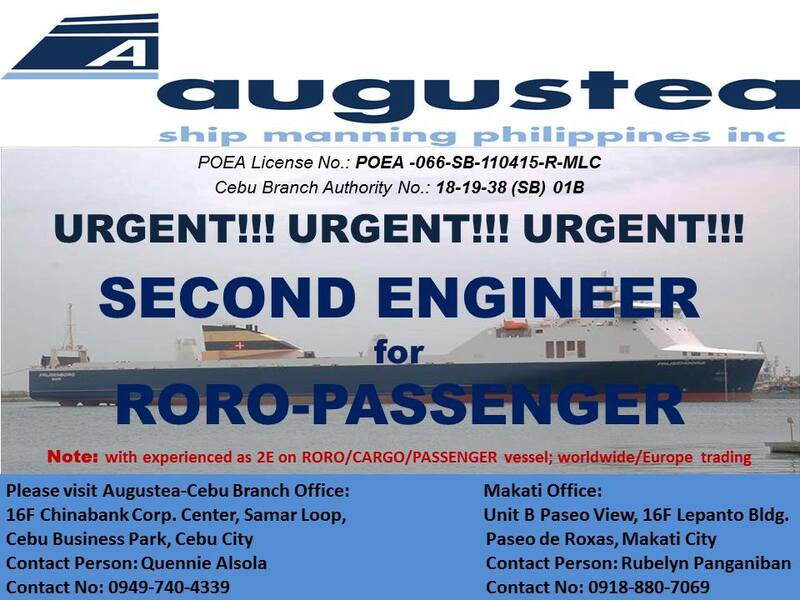 0 Response to "Urgent Crew For Passenger Ship"